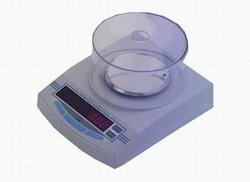 Manufacturer of a wide range of products which include medical sterilization basket, flame photometer, sl-n series electronic balance and semi auto biochemistry analyzer. Stainless steel wire mesh, or perforated metal, 201 302 304 304L, 316 316L. surface treatment, electrobrightening, nice looking and long lasting. The mesh opening is easy for the water and steaming to go through. 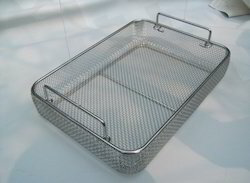 It is widely used in hospitals, laboratories, workrooms etc , for the work of sterilization, washing, storage. 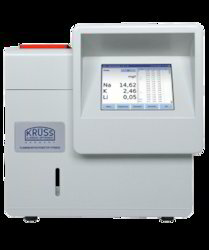 Measure up to three alkaline elements simultaneously Krüss offers the Flame Photometer model FP8800 for simple, precise, cost-effective measurement in industrial applications.Ideal for concentrated alkaline elements. In aqueous solutions, the unit will deliver a rate of around 300 samples per hour. Utilising propane or butane as a fuel gas, the FP8800 gives flame-photometric measuring of up to three elements simultaneously (purified and dried air is required), allows 99 definable methods, and stores the last 999 measurements. The device can be easily customised to suit user requirements, and for traceability of results, it has the facility to export data via USB port, PROFIBUS DP, RS232 or ethernet interface for computer aided process control (SPC). The FP8800 has 4 independent measuring channels and an additional separate channel for the monitoring of the flame. The 4 measuring channels can be equipped with the appropriate optical filters. The FP8800 does not require a spectral reference line, although measurement operation can be carried out either with or without a reference element. This established and proven measurement technique in combination with modern instrument electronics and innovative process control makes the FP8800 an essential component of measurement procedures in the named application areas. Economic, robust, safe and long-lasting measuring instrument. Simple, precise and cost-efficient measuring method for the simultaneous determination of alkali and alkaline earth element concentrations in aqueous samples. Precision ≤ 0.5 % CV with 10 mg/l Na-, K-, Li-, Ca-standard solution. Touch Screen , 800 x 600 pixels. Complete user management, SQL data base, export of measured data to Excel. Option 1: automatic measuring connected with the sampler and sample dilution (FP8801). Option 2: PROFIBUS DP interface and remote module for usage in process control (FP8800). Unique new form factor, STN wide viewing angle liquid crystal display with backlight or LED display, multi-converting various measurement units, counting function, optional RS-232C output interface, excellent value for money. Function sketches on main menu, the software is simplicity, easy and fast operation. Real time curve monitoring enhances the reliability of result. Memory for 100 programs and 20000 test results, results tracking by date. On-broad Quality control, control results available either memory or display. Standard filter: 340nm, 405nm, 505nm, 546nm, 578nm,620nm, 670nm and one free position.